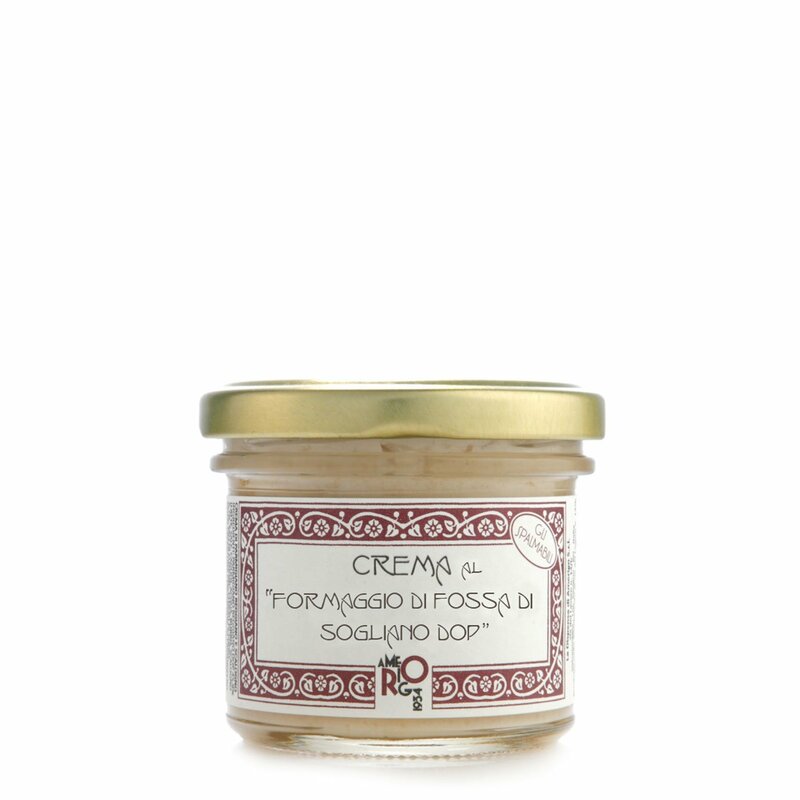 This cream is made using exclusively pecorino that has been matured in caves in Sogliano al Rubicone. 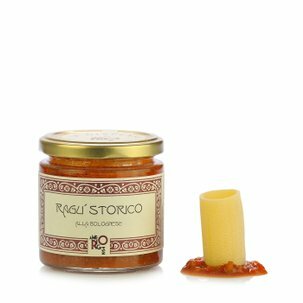 When opening this flavourful creation from Dispensa di Amerigo, you'll be greeted by the typical aromas of this famous cheese from Romagna. The cream has an intense flavour and is therefore perfect when used in pasta dishes or risottos or other creative culinary creations. Ingredients "Formaggio di fossa di Sogliano DOP" 34%, Schafskäse, Wasser, Eigelb,Butter, Fusion: Tri-Natriumcitrat. Allergene: Laktose und Eier. For more information on product labels, please contact our Customer Service department. The information on the labels of the products may vary for reasons beyond our control, therefore, there may be discrepancies between the information on the site and that on the products delivered. Please always check the information on the product before consumption or use. Dispensa di Amerigo was created out of the determination of Alberto Bettini, third generation patron of the very famous trattoria Amerigo di Savigno (the only one in Italy honoured both with a Michelin Star as well as a Slow Food snail of approval). Together with his friend Roberto Zivieri, Alberto decided to transfer more than 70 years of experience working in the trattoria's kitchens to a new laboratory to produce an excellent range of preserved products. Every recipe produced by Dispensa di Amerigo is both exquisite and natural: the red onion jelly is the result of a traditional recipe, the products preserved in oil and vinegar are produced starting with the freshest products harvested in season, the ragùs and creams are directly taken from the specialities of the trattoria. The entire line from Dispensa di Amerigo, in addition to being excellent and of the highest quality, is free from preservatives, artificial colouring and flavouring.